The professionals at Plasti-World Products Ltd. are simply the best when it comes to making Injection Moulded Plastic Watch Boxes. 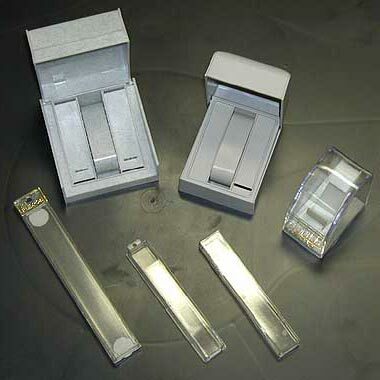 They combine the fine quality Plastic Resins and the benefits of latest techniques to create Injection Moulded Plastic Watch Boxes. Whatâï¿½ï¿½s more, at Plasti-World, Injection Moulded Plastic Watch Boxes can be created with or without names and likewise details printed on them âï¿½ï¿½ as per the requirements specified by the buyers. Our capability to hand over offerings with creativity and efficiency has enlisted us amid the leading Injection Moulded Plastic Watch Boxes Manufacturers in Canada. Plasti-World Products Ltd. is an excellent manufacturer of injection-moulded plastic watch boxes. We combine high quality plastic resins with the latest technology to create this product. Our ability to deliver products with creativity and efficiency has enlisted us as one of Canada's leading manufacturers for plastic watch boxes.